2011 Thimbleberries Club and BOM Quilt! It’s that time again. A new year is coming and a new Thimbleberries Block of the Month Quilt will be starting. Unlike other BOM that you can start anytime, the Thimbleberries runs January to December. So don’t miss it! You can also choose between a queen size (96″ x 112″) or a large throw size (74″ x 90″). The queen size has an additional finishing kit in month 12 for $47.95. Each month you will receive your block pattern and all the fabrics needed for $16.95. Easy enough to made just one block a month, right? When you are finished you’ll just need to purchase backing and batting (even the binding is included in the kits!). But, each month, you will also recieve a bonus pattern for a wall hanging that uses that month’s block. That’s 12 quilt patterns! If you make each wall hanging each month you will have plenty of Christmas gifts ready for next Christmas with no pressure, just fun! Or keep a few (or all of them!) and hang one or two in the bedroom that uses the quilt and you can change them every once in a while. The block of the month ships around the 3rd week of every month and is billed when shipped. If “someone” hasn’t found the perfect gift yet and wants to get you a really nice Christmas gift, but not pay for it all at once…. this just might be it! If you are looking for a great gift for a special person, a Fabric Club will give all year.� Or suggest it to your spouse to give to you – he’ll love it as there’s no roaming the mall and it’ll be a gift you’ll love�over and over again – every month! There are several from which to choose . . .
…and several more.�The clubs offers a choice of the fabric cut: fat quarters, half yard cuts, yard cuts.� Each club gives 5 cuts of the size you choose, with the exception of the Marble Club which is 4 pieces. Every month you will receive your choice cuts about the same time of the month and every attempt will be made to not duplicate a piece of fabric in a twelve month period. Your stash will grow and grow . . . unless of course, you sew and sew! Then there is the Ugly Duckling Fabric Club.� For only $13.49 you will receive 3 yards of fabric in various sizes: quarter yards, half yards, fat quarters.� All fabrics are quality 100% cotton and will include florals, prints, solids, and designer fabrics.� All fabrics that have been sold in the store – so you know they are not really ugly!�Good fabrics, a surprise and all for less than half price – what a deal! So if you know a certain someone who hasn’t shopped for you yet, copy and paste this link: http://www.quilterswarehouse.com/s-57-mcfc.aspx�in an e-mail to them… hint, hint. Thimbleberries 2010 – Sign Up Now! Village Green is the name of the 2010 Thimbleberries Block Of the Month. We are offering the quilt in two different color ways. You can also choose the size: a large lap quilt 72″ x 84″ or a queen size 96″ x 106″. Each quilt has a village of ten homes along with trees, flowers and stars. The queen size quilt has an extra border of stars between the two borders shown here. Unlike other Block of the Month quilts which don’t matter when you start, the Thimbleberries will begin in January and continue through December of 2010. So don’t miss out! Here’s how it works. Join the Thimbleberries Club. 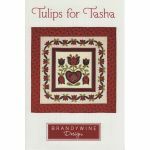 Each month you will receive a pattern for a portion of the quilt along with all the fabric you will need for that portion. The finishing kit will include the binding fabric; you will need to purchase the batting and backing separately. Also included will be a pattern for a separate project. Sometimes it will be a table runner, or a small quilt, or a wallhanging. Something different each month. Both of the patterns will be in one full color booklet with plenty of illustrations to make construction easy. You will also receive a personal newsletter from Lynette Jensen of Thimbleberries. Membership in the Thimbleberries Club entitles you to take advantage of special discount offers. What’s the next best thing to visiting your local quilt shop? Getting fabric in the mail! Quilters Warehouse has several fabric clubs. You choose from eight different clubs . . .
Christmas - Reds, Greens, Gold, and Glitz! Then you choose how much fabric you will want each month. The options are Fat Quarters, Half Yard Cuts, Full Yard Cuts. With most of the clubs you’ll receive 5 pieces each month, the same week of the month. Look forward to “squishies” in the mail. What fun!! These deliveries will surely inspire you. And, if you like surprises, you could try the Ugly Duckling Fabric Club. Each month you’ll receive 3 yards of various cuts from end of bolts. There’s a swan in every bag!